With so much to boast about —award-winning dining; breathtaking turn-of-the-century architecture; attentive, caring service—some may wonder: "Why the Hot Brown?" 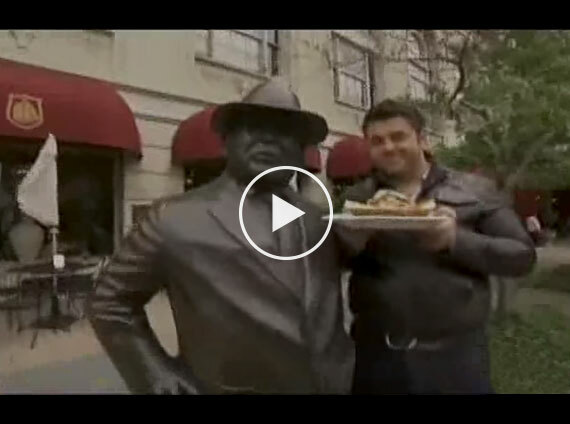 Here is the history behind this now legendary dish. In the 1920's, The Brown Hotel drew over 1,200 guests each evening for its dinner dance. By the wee hours of the morning, guests would grow weary of dancing and make their way to the restaurant for a bite to eat. Sensing their desire for something more glamorous than traditional ham and eggs, Chef Fred Schmidt set out to create something new to tempt his guests' palates. His unique dish? An open-faced turkey sandwich with bacon and a delicate Mornay sauce. The Hot Brown was born! Available in our restaurants, bar and through in-room dining, the Hot Brown continues to exemplify our unending dedication to serving our guests. Such culinary prowess and commitment, of course, doesn’t go unnoticed. 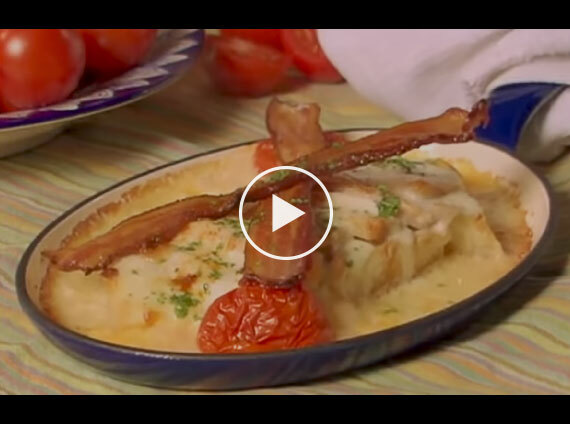 The Hot Brown—a Louisville tradition with worldwide appeal—has been featured in Southern Living, The Los Angeles Times, NBC's Today Show, ABC News with Diane Sawyer, Travel Channel's Man v. Food, and The Wall Street Journal, and is a regular entry in many of the world’s finest cookbooks. In a two‑quart saucepan, melt butter and slowly whisk in flour until combined and forms a thick paste (roux). Continue to cook roux for two minutes over medium‑low heat, stirring frequently. Whisk heavy cream and whole milk into the roux and cook over medium heat until the cream begins to simmer, about 2‑3 minutes. Remove sauce from heat and slowly whisk in Pecorino Romano cheese until the Mornay sauce is smooth. Add nutmeg, salt and pepper to taste. For each Hot Brown, place two slices of toast with the crusts cut off in an oven safe dish – one slice is cut in half corner to corner to make two triangles and the other slice is left in a square shape - then cover with 7 ounces of turkey. Take the two halves of Roma tomato and two toast points and set them alongside the base of the turkey and toast. Next, pour one half of the Mornay sauce to completely cover the dish. Sprinkle with additional Pecorino Romano cheese. Place the entire dish under a broiler until cheese begins to brown and bubble. Remove from broiler, cross two pieces of crispy bacon on top, sprinkle with paprika and parsley, and serve immediately.